The Secret Diary of Steve Jobs : John Edwards actually said this. Out loud. In front of other people. 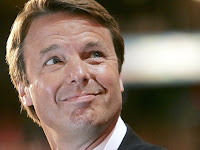 John Edwards actually said this. Out loud. In front of other people. I am not making this up. See here.